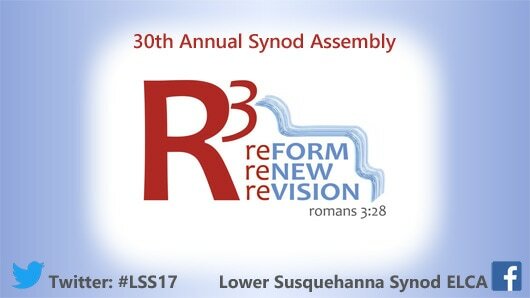 The 30th Annual Lower Susquehanna Synod is now complete. Thank you to everyone who made this year’s Assembly so successful! Thank you to Pam Arndt, Rich Harner, Vicar Micki Kautz, and Marlene Stiffler for serving as voting members to the Synod Assembly on June 2nd and 3rd.